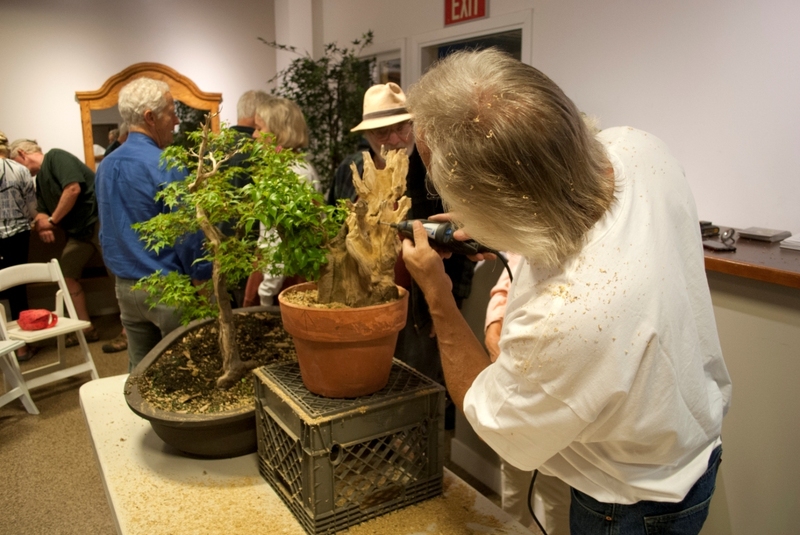 Jay McDonald conducted a deadwood carving demonstration for the Marin Bonsai Club meeting in June. 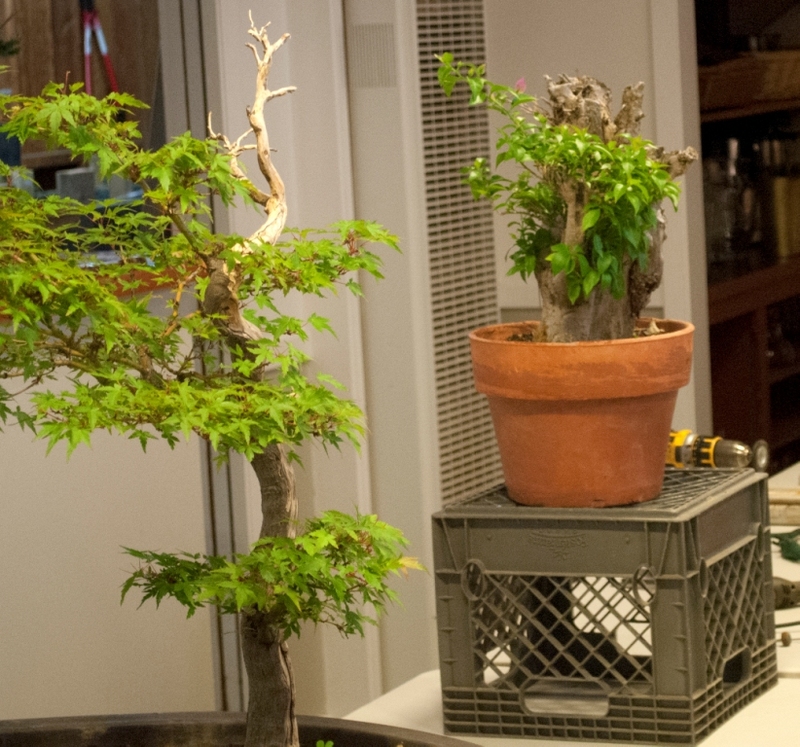 He brought in two trees, a Japanese maple and a Bougainvillea. 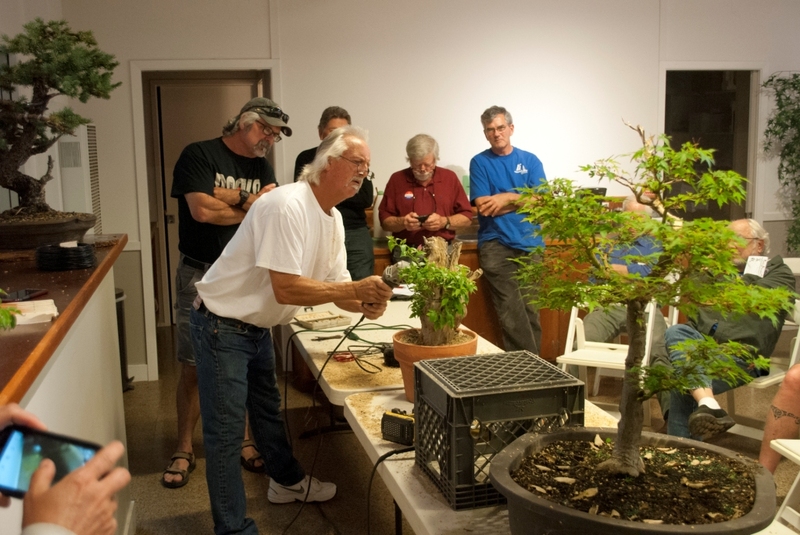 Jay pointed out that he had removed the outer bark from deadwood appearing on the Japanese maple prior to coming to the meeting and demonstration, and wanted to show what it looked like without the bark. 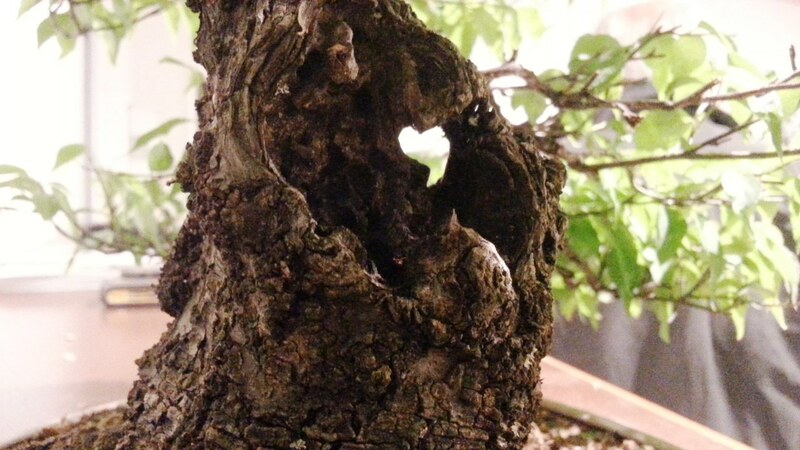 He used a sandpaper bit and Dremel power tool to remove the bark leaving behind a smooth, fresh look to the deadwood at the top of the maple tree. Jay then turned his attention to the Bougainvillea. He described the Bougainvillea as a large trunk ripped off an even larger portion of a landscape Bougainvillea. He reminded everyone that carving required safety equipment, such as a pair safety eyeglasses. 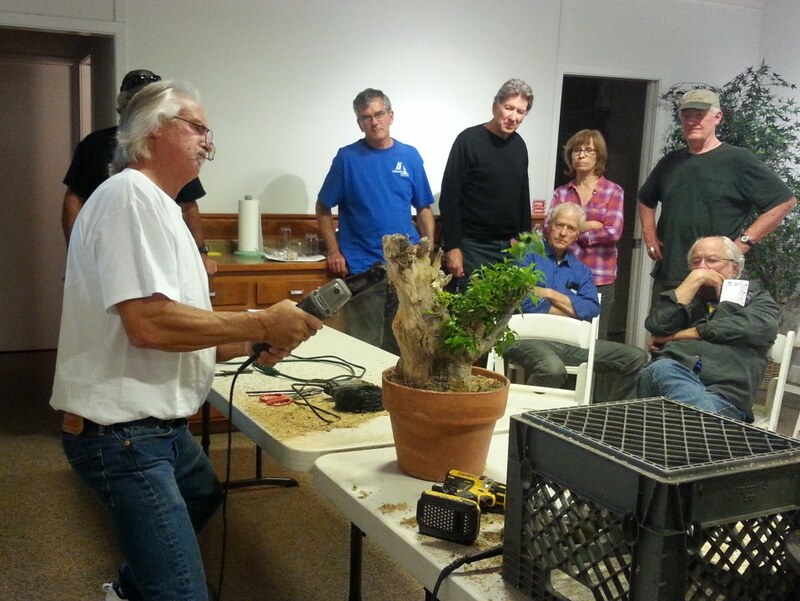 Jay showed an array of power tools, large like the chainsaw wood carving tool, and small such as the Dremel power tool. 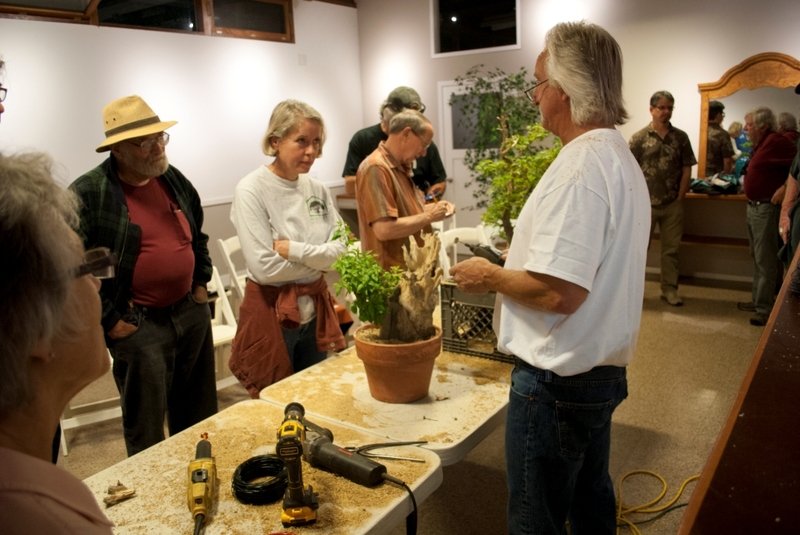 For each power tool, he displayed a variety of wood carving bits for removing large pieces of deadwood, large bits for carving, small bits for detail work, bits for engraving lines or cracks in deadwood, and various sanding bits for smoothing over the power tool carved wood marks. 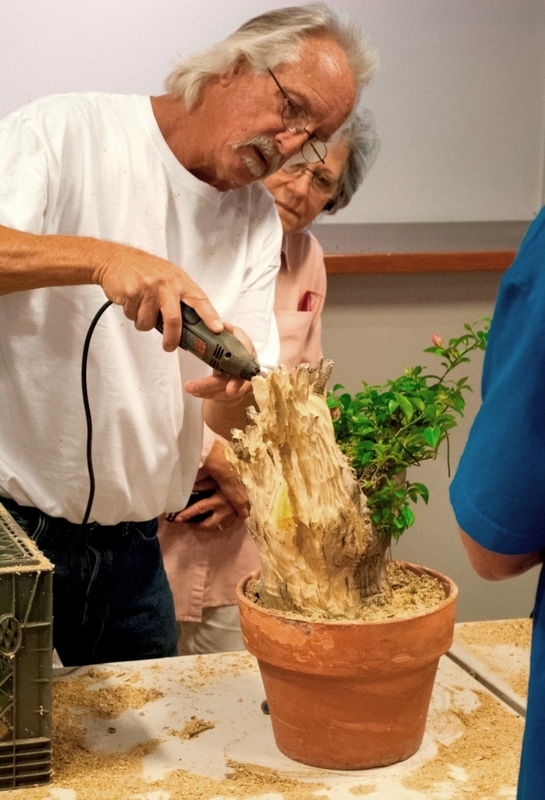 Jay started with the chainsaw wood carver by removing large pieces of deadwood and then proceeded in steps towards detailed carving using the smaller power tools and bits. He finished up with the sanding bits to remove any tool marks made with the other tools and bits. 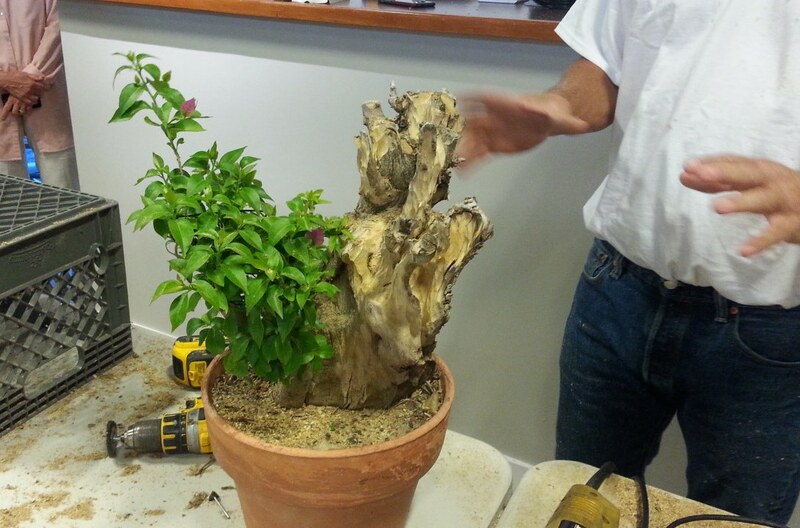 The finished Bougainvillea was greatly reduced in the amount of deadwood. The deadwood showed many hollowed out portions as well as peaks and valleys. 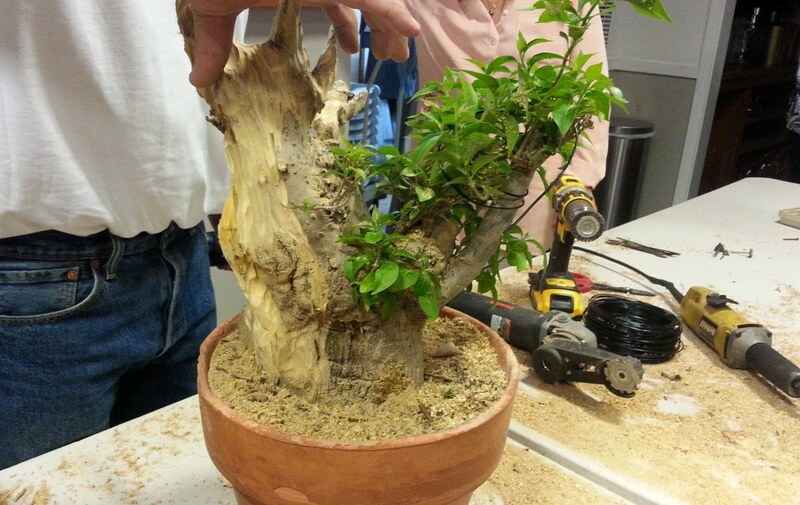 The photographs show before and after as well as several stages of the deadwood carving on the Bougainvillea. 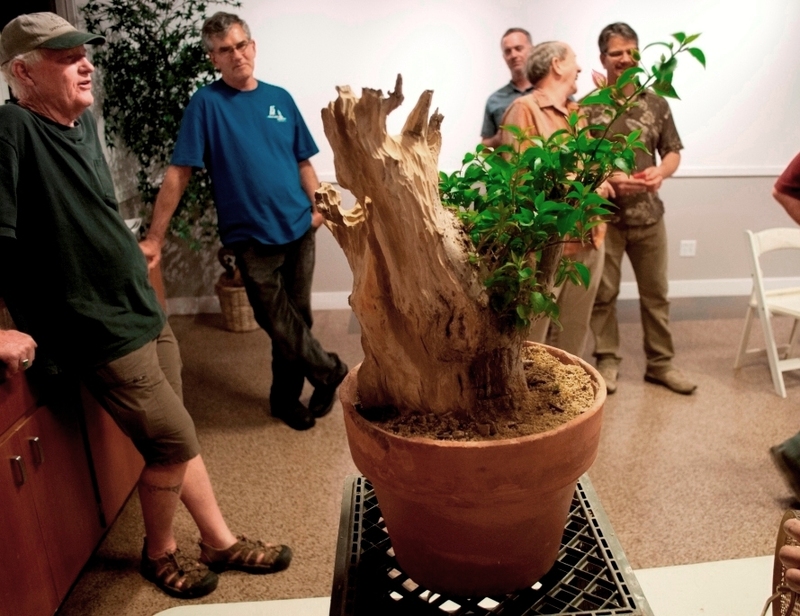 The tree was raffled off and won by Roger Lion.